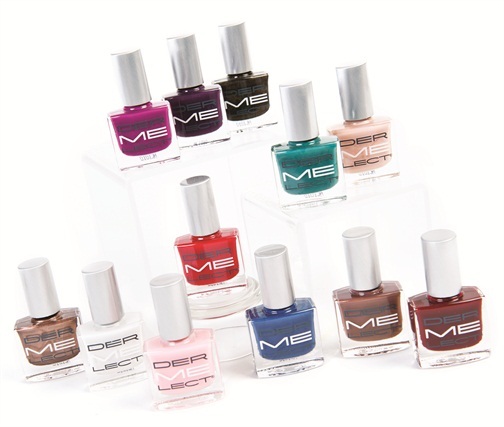 Dermelect Cosmeceuticals’ new ME Core Collection is designed for women who desire to grow out long, strong, natural nails without compromising fashionable fingertips. ME’s technologically advanced, salon-strength formulations are three-free and contina ProSina, a pure protein extract derived from New Zealand sheep’s wool that strengthens the nails and nourishes the skin. The collection comes in 12 colors named to evoke the esteem of the person who uses it. For more information, visit Dermelect Cosmeceuticals.